The fourth and final day of the December plenary session began at 09.00 GMT with a series of human rights debates. The first centred on government action taken against protesters in Venezuela. The second debate addressed the case of Biram Dah Abeid, an anti-slavery activist and opposition politician in the western African country of Mauritania who was recently arrested. The final debate highlighted the arrest of Dr Amin Mekki Medani, a human rights lawyer who was arrested by government forces in Sudan two weeks ago. At the voting session, MEPs ratified an EU trade deal with Georgia, and approved all three resolutions relating to the human rights debates. Text can be slow to load on these pages. Please hit refresh (F5) if live text does not appear below. With the explanations of votes finished, Parliament vice-president Adina-Ioana Valean brings this morning's session to a close. The December plenary has now finished - MEPs will next return to Strasbourg after their Christmas break for the next session, which begins on 12 January. UKIP MEP Steven Woolfe says he and members of his party did not back the trade deal, since he sees it an example of the EU's "imperialism". Explaining why he voted to ratify the EU's trade deal with Georgia, Czech entre-right MEP Jiří Pospisil says it will open the way for a country within the "sphere of influence" of Russia to take greater steps, after the fall of the Soviet Union, to become a truly democratic state living under he rule of law. First of all, MEPs will speak on a resolution passed yesterday that called for a "holistic approach" to migration into Europe from people crossing the Mediterranean. That's the voting session finished. MEPs will now have the chance to make short speeches to explain how they voted. This will begin with speeches on some votes that took place yesterday - this is because MEPs ran out of time during yesterday morning's session. MEPs have ratified the wide-ranging free trade deal that the EU signed with Georgia in June. Parliament gave its consent to the agreement by 490 votes to 76, with 57 abstentions. There's a special guest in the gallery today, as Georgian President Giorgi Margvelashvili takes his seat to watch the vote on ratifying the EU trade deal with his country. MEPs have also backed the resolution condemning the arrest of Dr. Amin Mekki Medani, a human rights lawyer in Sudan. The motion is backed by 582 votes to 1, with 57 abstentions. MEPs have approved the resolution calling for the immediate release of Biram Dah Abeid anti-slavery activist and opposition politician in the western African country of Mauritania. The resolution is approved on a show of hands, without the need for an electronic roll-call vote. MEPs have approved the resolution condemning the recent arrest of protesters in Venezuela by the government of president Nicholas Maduro. That's the end of the human rights debate on Sudan. 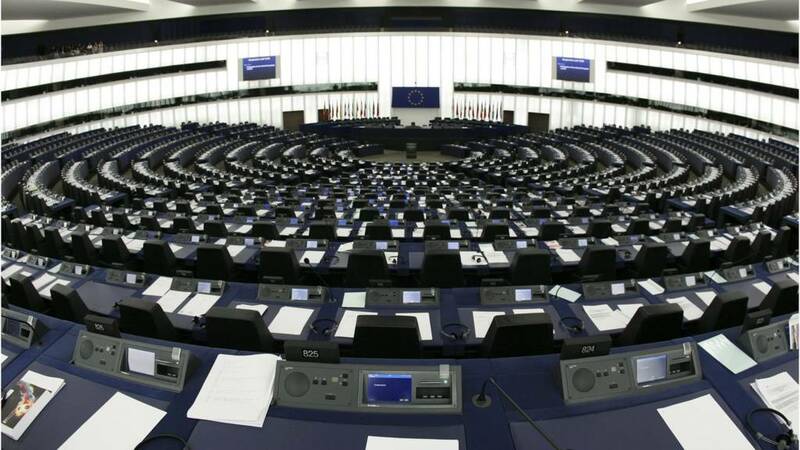 MEPs will now take their seats for today's voting session, which will get underway shortly. Closing the third and final human rights debate, Mr Della Vedova says the Council of Ministers supports today's motion, telling MEPs that Dr. Amin Mekki Medani is a man of "great moral stature". He says the Council calls for his release, as well as the release of all political prisoners in Sudan. Sudan, which has been ruled by Omar Hassan al-Bashir since he came to power in a military coup in 1989, was split into two countries in July 2011 after the people of the south voted for independence. Although the government of Sudan gave its blessing to the newly independent state, various outstanding secession issues - especially the question of shared oil revenues and the exact border demarcation - have continued to create tensions between the two successor countries. Outlining her support for today's motion on Sudan, Dutch Green MEP Judith Sargentini says that the Sudanese government has "no respect for human rights". She says that the recent arrests of three human rights activists calls into question whether the EU should continue participating with the country as part of the so-called "Kartoum Process" - a collaborative agreement between the bloc and countries in the Horn of Africa to tackle illegal and dangerous migration. That's the debate about anti-slavery activists in Mauritania finished. A vote on a resolution will take place shortly. We now move to the third and final human rights debate of the morning, which is about the arrest of a human rights lawyer in Sudan. Dr. Amin Mekki Medani was arrested by government forces just under two weeks ago, after he and other activists signed a political agreement known as the "Sudan Call", which called for an end to one-party rule in the country and a transitional government. On behalf of the Council, Italian foreign affairs minister Benedetto Della Vedova says that there is a need for "dialogue" with the authorities in Mauritania, and that they have drawn attention to the need to end discrimination against certain ethnic groups in the country. He tells the chamber that the situation in the country is being "closely monitored" by EU authorities. French left-wing MEP Marie-Christine Vergiat, who says she will be voting in favour of the resolution today, tells members that slavery and racism are "institutionalised" in Mauritania. Since slavery was made a criminal offence in 2007, there has only been one prosecution, she adds. Officially arrested for being a threat to state security, today's resolution decries the arrest of Biram Dah Abeid as an attempt by government forces in Mauritania to clamp down on criticism of its poor record in tackling slavery. German Green MEP Barbara Lochbihler, the author of today's resolution, tells the chamber that although slavery has been officially banned since 1981, there is much evidence to suggest that it is still being practiced on a large scale. Modern Slavery Index said Mauritania has the highest proportion of slaves anywhere in the world - with an estimated 4% of the population enslaved. That's the debate on protests in Venezuela finished. MEPs now move on to the second human rights debate of the morning, which is on the recent arrest of an anti-slavery activist and opposition politician in the western African country of Mauritania. Biram Dah Abeid, who heads the Initiative for the Resurgence of Abolitionism in Mauritania (IRA-Mauritania), was arrested by government forces last month during a protest near the town of Rosso, along with eight other activists. Italian minister for foreign affairs Benedetto Della Vedova says that the Council of Ministers has condemned violence in Venezuela, and says the lack of progress in this area has been a "cause of concern". He says the Council calls on the government to find a "consensus solution" to political problems and civil unrest. He is speaking on behalf of the Council because Italy currently holds the rotating presidency, which is due to pass to Latvia in the new year. We're now on to the "catch the eye procedure" - five minutes when unscheduled speakers get the chance to make short interventions. Romanian liberal Renate Weber outlines her support for today's resolution, telling the chamber that it is "quite the opposite" of a "conspiracy against Venezuela". She says that Maria Corina Machado is only the most prominent of many opposition figures that have been arrested in the country, and says that more than 2,000 opposition protesters are under investigation. passed a bill which would impose sanctions on Venezuelan officials found to have violated protesters' rights. The bill targets current and former Venezuelan officials who directed "significant acts of violence or serious human rights abuses" against people during anti-government protests in February. "This isn't a human rights debate, it's just calling into account a democratically elected government", says Spanish Green Ernest Urtasun, who tells MEPs that human rights abuses should be dealt with in a uniform manner on a case-by-case basis. Criticising this morning's debate as "just an attack on Venezuela", he says that his group will not be supporting this morning's motion. "You're just trying to take them to task because you don't like their politics", he concludes. has written that she considers the arrest a "continuation of the government's desperation to silence and punish opposition". Another Spaniard, liberal MEP Fernando Maura Barandiaran, praises today's resolution on Venezuela - which will be voted on in just over an hour's time - as a "most timely" response from the European Parliament. Although he says that the resolution which has been tabled is "strongly worded", he tells the chamber that "we can't make the mistake of thinking that we've done everything that we could". He notes that if today's resolution shows no sign of having had any effect, the Parliament needs to consider all other options to try to influence the situation in Venezuela. Vice-president Ramon Luis Valcarel takes his seat to chair this session, and we're underway. His fellow countryman, centre-right MEP Luis de Grandes Pascual, speaks first to outline the first debate: four of Parliament's groups have tabled a joint motion that condemns the persecution of protesters in Venezuela by the government of president Nicholas Maduro. most corrupt country in Latin America by campaign group Transparency International, has seen nationwide protests against Maduro's government since last February, which Parliament's rapporteurs have said used "systematic violence" to suppress. Hello and welcome to BBC Democracy Live's coverage of the final day of this December plenary session of the European Parliament in Strasbourg. This morning, MEPs are going to be holding their traditional human rights debates, before voting on relevant resolutions during the morning's voting session, which is due to start at around 10.00 GMT. At the voting session, MEPs will also vote on whether to ratify a trade deal between the EU and Georgia that was signed in June.